Professional British athlete Mark Lewis-Francis has been widely touted as the next great superstar of sprinting ever since he was a youth. Now having graduated to the senior ranks he has realised his potential and is well placed to speak to audiences of all types about his life in sport. 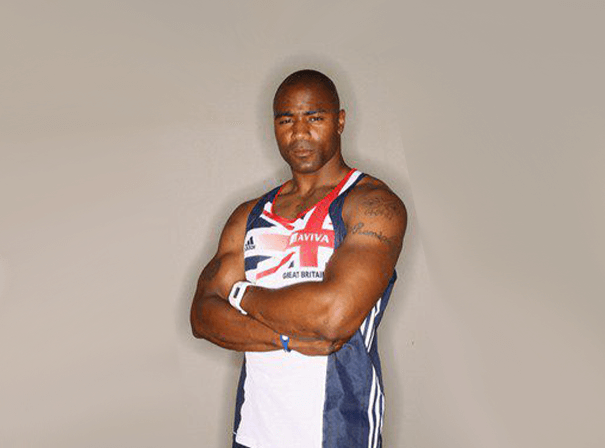 Mark won the World Youth and World Junior titles in successive years in 1999 and 2000 and at the start of 2001 he made his senior début for Great Britain at the World Indoor Championships and won a bronze medal in the 60 metres. As the year progressed he added the Europa Cup and European Junior 100 metre title to his portfolio and was expected to pick up a first major gold medal in 2002, but he pulled up injured in the final of the Commonwealth Games 100m and was unable to recover in time for the European Championships. Since then and during the Athens Games, he held off the challenge of former Olympic Champion Maurice Greene to anchor the British quartet home to an improbable victory in the sprint relay and helped the British team win bronze medals at both the 2005 and 2007 World Championships, as well as helping England win the 2006 Commonwealth Games relay team. An Achilles tendon injury robbed him of a chance to defend his Olympic relay title in 2008 but he then had a much better 2010 in which he won silver medals in the 100m at both the European Championships and Commonwealth Games and added a further Commonwealth relay gold in Melbourne. To have Mark appear at your charity function, sports ward dinner or to be the face of your brand, enquire with MN2S now.